Five interesting facts today include the following: before the 17th century almost all cultivated carrots were purple. 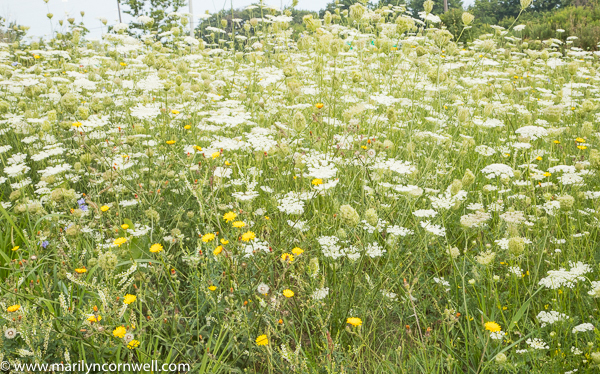 This turns out to be a tremendous year for Queen Anne's Lace - a wild carrot - Daucus carot Growing along road sides and in unused fields, there are clouds of white everywhere. This is considered a companion plant to crops, and was introduced to North America, as it attractive wasps to its small flowers in its native land. It is documented to boost tomato plant production, and can provide a microclimate of cooler, moister air for lettuce. Other times it is considered a noxious weed: It likely is a noxious weed here, given the volume of it. The story of its common name in North America is that both Anne, Queen of Great Britain, and her great grandmother, Anne of Denmark, are taken to be the Queen Anne for which the plant is named. It is so called because the flower resembles lace, prominent in fine clothing of the day; the red flower in the center is thought to represent a blood droplet where Queen Anne pricked herself with a needle when she was making the lace. I didn't remember that is is an edible plant - and that the flowers are sometimes battered and fried. 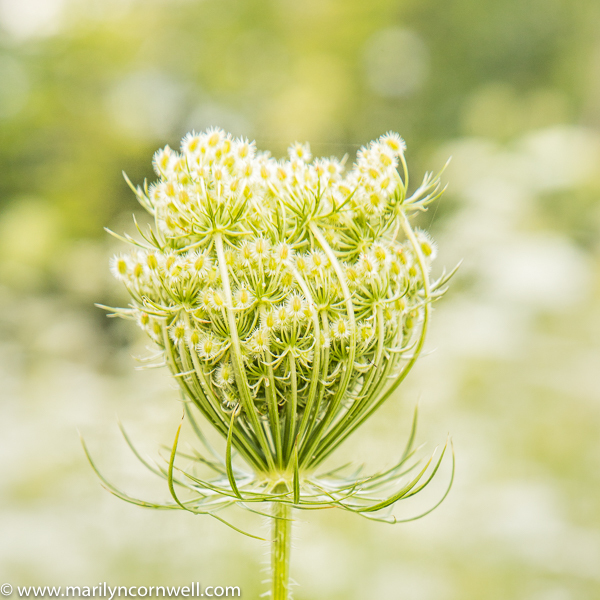 And people ask if Queen Anne's Lace is hogweed and is poisonous. They bloom at the same time, but hogweed is cow parsnip - Heracleum maximum. 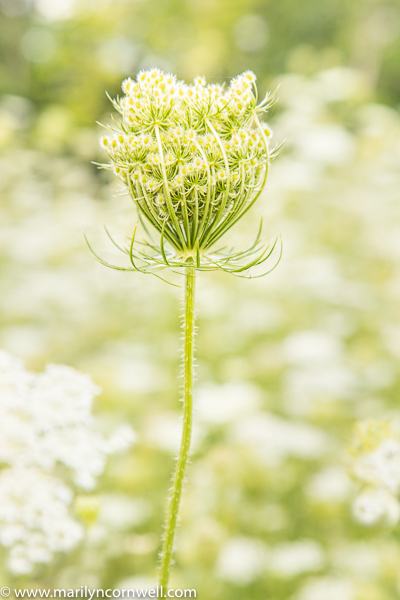 And Queen Anne's Lace also looks similar to Angelica - which is Wild Celery. I recall one of our summer activities as children was to put the flower stalks in jars of coloured water and the white flowers would turn colour.